Automatic road network extraction, which provides initial data for several applications that require realistic geospatial simulations, is one of the most essential tasks in remote sensing. Fanos, A. M., Pradhan, B., Mansor, S., Yusoff, Z. M., & Abdullah, A. F. B. (2018). A hybrid model using machine learning methods and GIS for potential rockfall source identification from airborne laser scanning data. Landslides, 1–18 (online first available). https://doi.org/10.1007/s10346-018-0990-4. Fanos, A. M., Pradhan, B., Aziz, A. A., Jebur, M. N., & Park, H. -J. (2016). 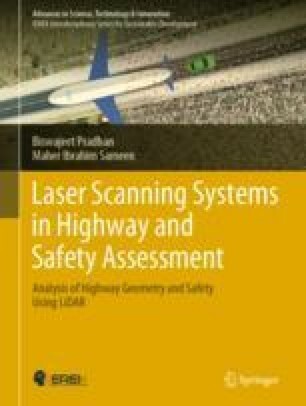 Assessment of multi-scenario rockfall hazard based on mechanical parameters using high-resolution airborne laser scanning data and GIS in a tropical area. Environmental Earth Sciences, 75, 1129. http://dx.doi.org/1007/s12665-016-5936-3. Idrees, M. O., Pradhan, B., Buchroithner, M. F., Shafri, H. Z. M., & Bejo, S. K. (2016). Assessing the transferability of a hybrid Taguchi-objective function method to optimize image segmentation for detecting and counting cave roosting birds using terrestrial laser scanning data. Journal of Applied Remote Sensing, 10(3), 035023. http://dx.doi.org/10.1117/1.JRS.10.035023. Saeidi, V., Pradhan, B., Idrees, M. O., & Latif, Z. A. (2014). Fusion of airborne LiDAR with multispectral SPOT 5 image for enhancement of feature extraction using dempster-shafer theory. IEEE Transactions on Geoscience and Remote Sensing, 52(10), 6017–6025. https://dx.doi.org/10.1109/TGRS.2013.2294398.